The people will be listed with the updates about the National Industrial Relations Commission NIRC Jobs 2015. The people will get the information about the OTS Test Application Form Download. The updates will be given out soon. 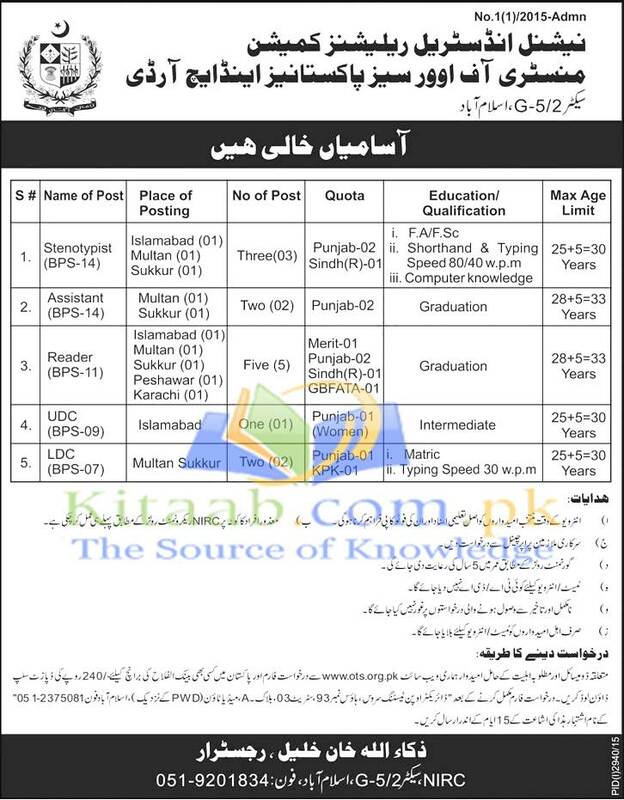 The Positions which will be vacant are Stenotypist (BPS-14)Assistant (BPS-14) Reader (BPS-11) Upper Division Clerk (UDC) (BPS-09) Lower Division Clerk (LDC) (BPS-07). The updates and information will be given for you. Vacancies : National Industrial Relations Commission Jobs 2015 December NIRC has been announced if you are eligible and interested to get the jobs then you must applyy within due dates.